When I logged onto twitter a couple of days ago I was so happy to see I'd been tagged in a new tag as lately all the ones I've been tagged in I'd already done. The beautiful Catherine has tagged me in this one and I cannot wait to share my answers with you all and read everyone's answers to the questions I've picked who I have tagged. 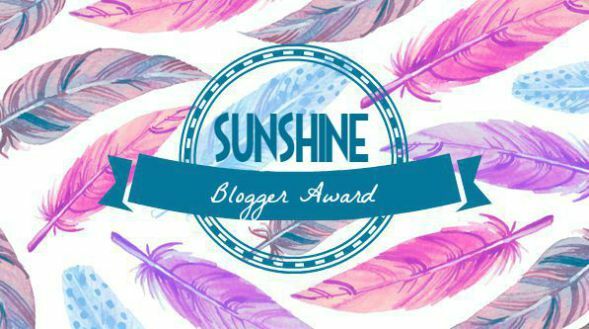 The Sunshine Blogger award is given by bloggers to bloggers that inspire creativity and positivity! Thank blogger(s) who nominated you for the blog post and link back to their blog. 1. What are some songs you have on repeat? 2. What do you do when you feel down in the dumps? - Meditate, write blogs or listen to music. 3. What can you not live without? - My husband. I know it's so cheesy but he literally is my rock. 4. Who is your hero? - My Nan and my dad. Whenever I have a problem I can always go to either one of them and they give me the best advice and stick by me no matter what my decision is. I adore them. 5. What is a book you would read over and over again? - The Secret by Rhonda Byrne. 6. What do you aspire to do in the future? - I hope that I will simply be as happy with everything and everyone in my life as I am now. I really believe that happiness and positivity are two of the best things in life. 7. What do you do on your downtime? - Watch TV, read, or cook vegan meals. If the weather is beautiful and warm I love having days out exploring places too. 8. How do you stay focused? - Lists. Lists. Lists. I literally have so many lists, that's how I stay organised and motivated. 9. How do you stay organized? 10. What are you passionate about? - Everything in my life. I adore making people smile. 11. If you could meet one person, living or dead, who would it be? - Princess Diana. I would adore to meet her. 2. Do you have a middle name? If so, what is it? 4. What's one of your favourite quotes? 6. If you could re-live one day of your life, what day would it be and why? 7. What's one thing you hope to cross off your bucket list this year? 8. What Disney villain are you most scared of? 9. Tell me a little about your best friend? 10. What's the earliest memory you have? 11. Do you have any pets? If so, tell me about them? 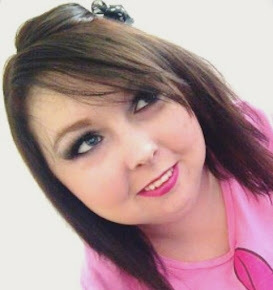 Don't forget to check out Catherine's blog post which I was tagged in. I really cannot wait to read all of your answers, please leave the links to your blog posts below or tweet me so I can retweet them. Thank you for the tag, haven’t heard of this one before but we do love a good tag to read. Such a great way to know other bloggers and get to know each other with different questions! Oooh not afraid by Eminem is one of my favourite songs! Thanks for the Tag lovely! I’ve already done this one before but it’s so appreciated. Loved your answers - I love lists too & I love that you have a Green Day song in that list! Love tag posts. Who knew we had such similar taste in music?! I read the secret as a teenager! I’m a big beleive in the universe! These tag posts are so fun to both do and read! I write copious amounts of lists too, it’s the only thing that keeps me organised. These posts are so fun! I love getting to know my fellow bloggers and see how much we have in common. Love your taste in music! Thank you so much for the tag, Alisha! It’s lovely to be thought of in tags like this! I must say that lists are a huge part of my life as well, they definitely help me stay motivated and organised just like you! My partner is my rock as well, there isn’t a day that goes by that I don’t appreciate everything he does for me! Love this! I make a lot of lists too, they're a great way to stay organised! 29 Things In 29 Years!